The Polestar 2 is Volvo's first mass-market electric vehicle. The Polestar 2 will be Volvo's first mass-market electric car. The Polestar 2 is underpinned by Volvo's CMA platform. It is powered by a 27 module 78 kWh battery pack. Major carmakers around the globe have already revealed plans to include electric or electrified vehicles in their product line-up by 2022 and now we are seeing the decision materialising. Volvo's performance brand- Polestar has revealed details and pictures of the Polestar 2 which will be positioned as its first mass-market electric car and will rival the likes of the Tesla Model 3. The Polestar 2 will be unveiled at the 2019 Geneva Motor Show and is expected to go on sale globally in 2020 and will be launched at a starting price of 39,900 Euros which will go up to 59,900 Euros. The Polestar 2 is powered by a 27 module 78 kWh battery pack. 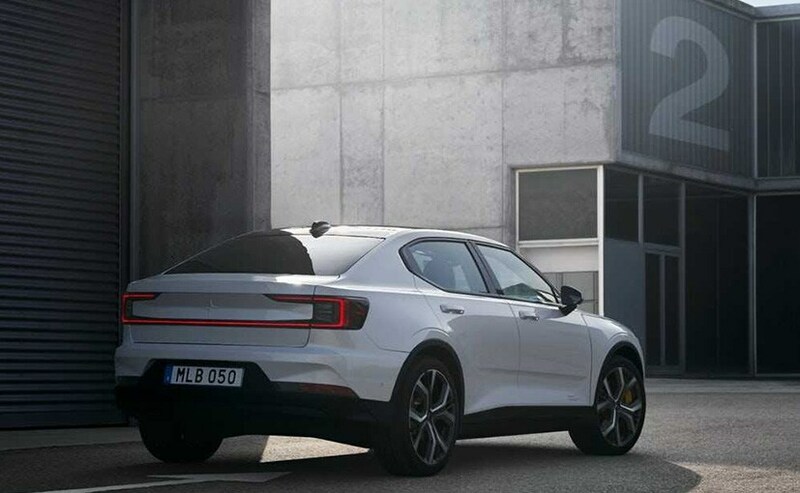 The Polestar 2 is a premium five-door fastback which is driven by two electric motors mounted on each of the axles and is powered by a 78 kWh battery which gives it a driving range of 500 km according to the WLTP test cycle. The electric motor churns out 402 bhp and 660 Nm of peak torque which help it clocking triple-digit speed in less than 5 seconds. Customers will further be able to opt for a performance pack which includes Ohlins dampers, Brembo brakes and 20-inch forged wheels. It will be further equipped with Polestar's signature golden seat belts, brake calipers and valve caps. The Polestar 2 is underpinned by Volvo's Compact Modular Architecture (CMA) platform which enables installing the 27 module battery pack into the floor. The platform is said to maintain the rigidity as well as required stability at higher speeds along with improved noise, vibration and harshness (NVH) levels where the road noise has been reduced to 3.7 decibels as compared to the traditional chassis. The cabin of the polestar 2 will sport a new 11-inch touchscreen infotainment system powered by Android. The cabin of the Polestar 2 will also be the first to sport a new 11-inch touchscreen infotainment system which will be powered by Android and will get an adaptable digital display for apps along with Google services like the Google Assistant, Google Maps and Google Play Store along with the Natural Voice Control. 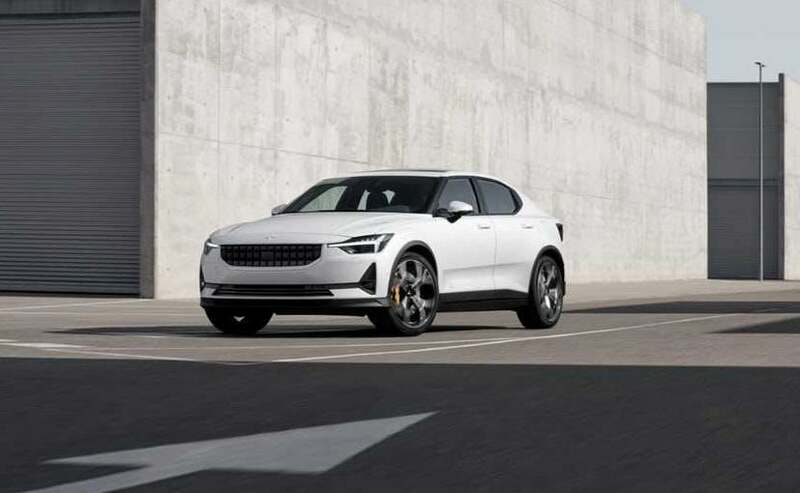 It will further be equipped with phone-as-key technology and Polestar connected services such as pick-up and delivery. The phone-as-key feature enables the car to sense the driver on approach and gives the charging status and range onto the driver's phone. The Polestar 2 can also predetermine the driver and prepare the cabin for a quick start. The Polestar 2 will make its public debut at the 2019 Geneva Motor Show on March 5 and initially will be retailed through separate Polestar dealerships- the Polestar Spaces. Initially, it will be launched in UK, Belgium, Germany, Norway, Sweden, Netherlands, China and the US.